The official start of summer is just around the corner. The fleeting season for eating freshly picked berries, riding bikes along the river trail, and hiking behind waterfalls. Undoubtedly, my richest memories are from summers. 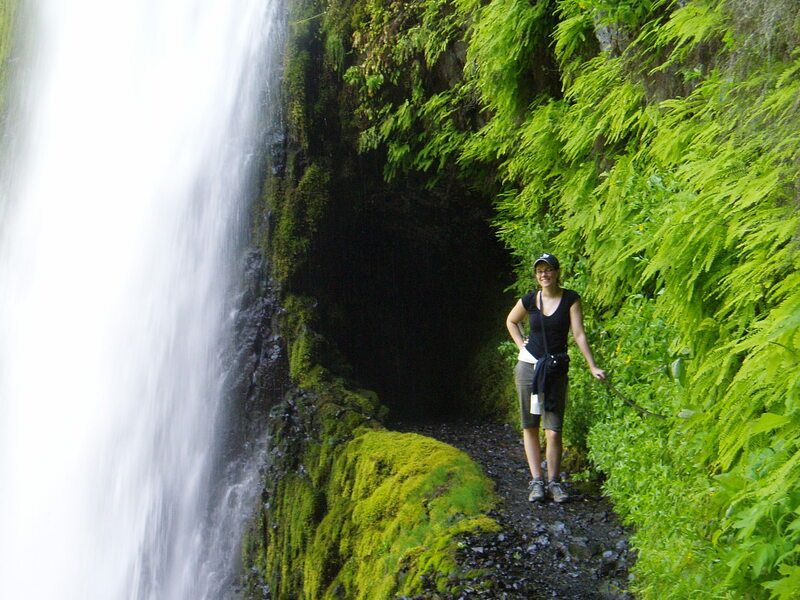 At Tunnel Falls in the Columbia River Gorge. When I was a kid, summer was the season for our annual family vacations. Thanks to my parents’ adventurous spirit, I had many memorable experiences during those vacations. I won’t easily forget the time an orca swam underneath our zodiac raft on a whale-watching expedition in British Columbia. 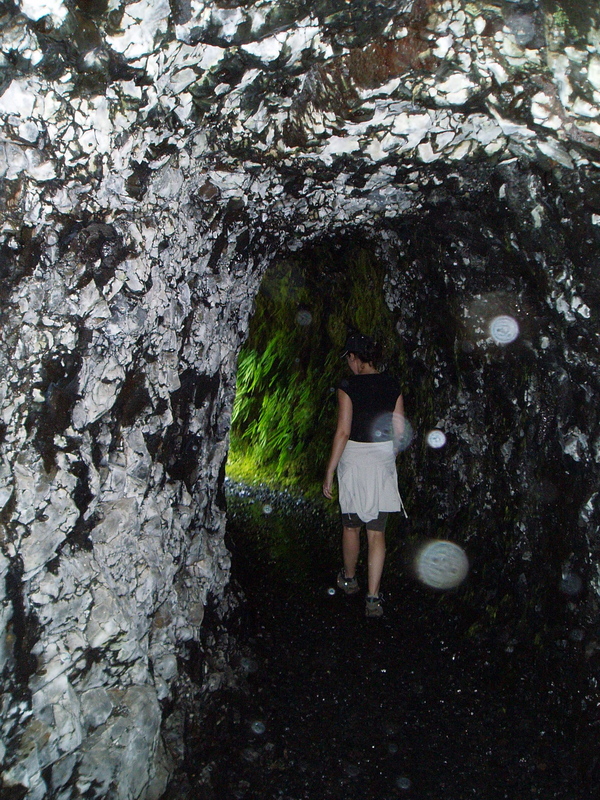 Or seeing the ancient marble formations inside the Oregon Caves. I’ll always remember the talent competitions at our Evans family reunions in the tiny Ozark town of Eureka Springs, Arkansas, and the time my mom was serenaded by an Elvis impersonator at the country music show. I’ll remember the glorious summer my parents and I toured Europe — dodging cars on narrow medieval cobblestone streets, standing in centuries-old Gothic cathedrals as light beams down through stained glass, discovering my love for Impressionist painters at the Musee d’Orsay. And I’d be negligent if I didn’t mention the hot and humid September afternoon my husband proposed to me on a glacial rock in Central Park after a picnic lunch of deli sandwiches and potato chips, and our tiramisu wedding cake the following June. 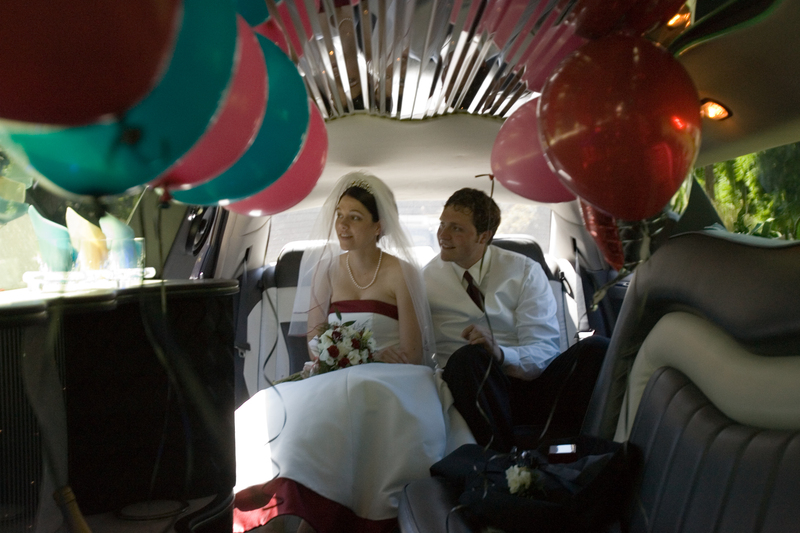 Our wedding day, eight summers ago. (Photo credit TJ Cameron). Even the summertime flops make for good stories — running down the side of South Sister in the midst of a lightning storm, sleeping in our car in Utah when our campsite was being sprayed with insecticide for its mosquito infestation, flying on a sketchy third-world airline that used hand-me-down Hawaiian airlines jets. I want my daughter to grow up rich in memories too. A family vacation isn’t in the cards for us this summer due to a lack of money and vacation days as well as my daughter’s young age. But we can still have fun while staying here in Oregon. At two-years-old, my daughter probably won’t remember this summer anyway, so I suppose the memory-making this year is more for the benefit of my husband and I. 9. Watch fireworks (We never do this, because my husband always has to work at 5:30 am on July 5). Do you have a favorite summer memory you’d like to share? Or, do you have items on your personal summer bucket list? We had some good times, and they’re not over yet — and with many more glorious adventures to come, each and every day, for you and Marie and Spencer. We have four (!) weddings to go to this summer, but we also have a few items to do in the meantime. We want to take Peeper camping for the first time, pick fruit at a nearby orchard and go canoeing. I love summer! Wow, that’s a lot of weddings! I’ll be intrigued to hear about your camping experience. I’ve been too intimidated to try camping with Marie so far, but I know my parents took me camping when I was a toddler.